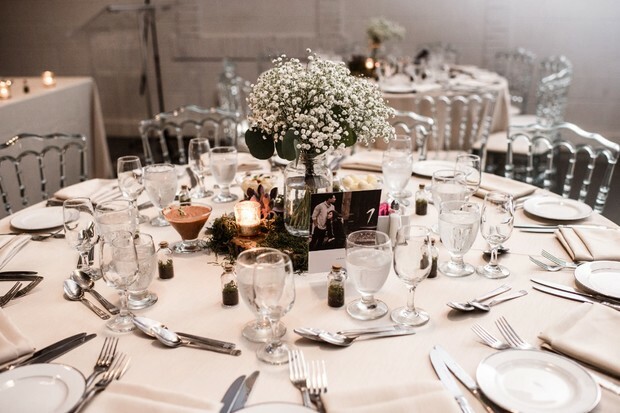 From SS Wedding & Event comes Melissa and Aaron's stylish September wedding! 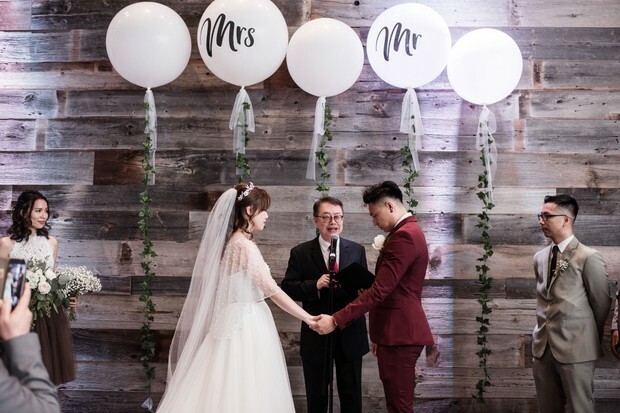 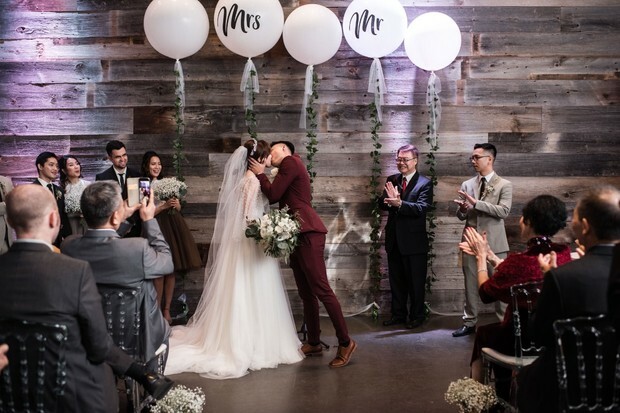 This couple tied the knot with a chic indoor ceremony at York Mills Gallery in Toronto. 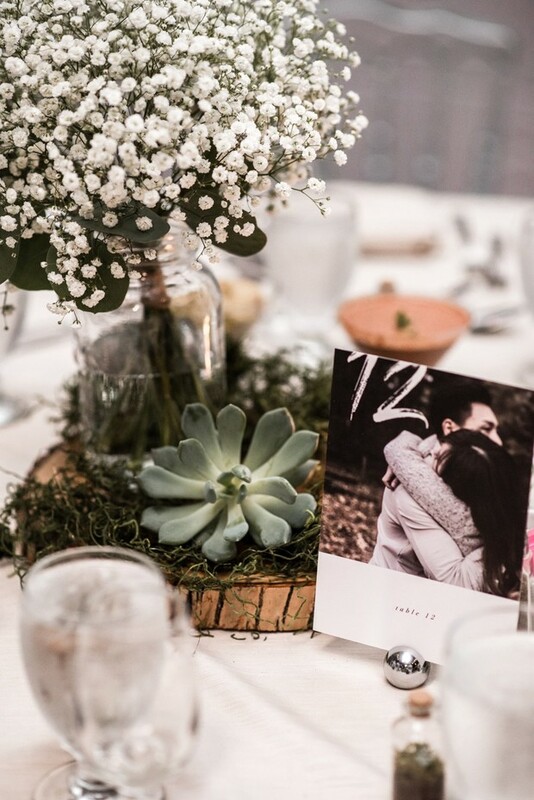 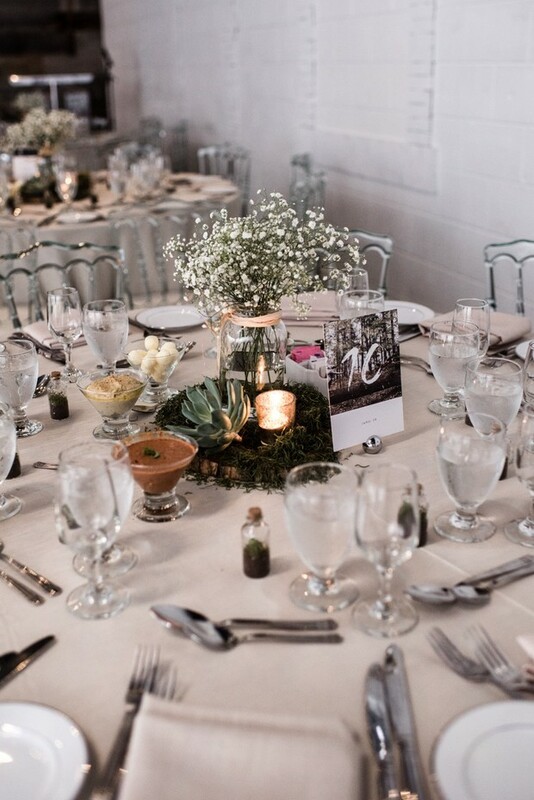 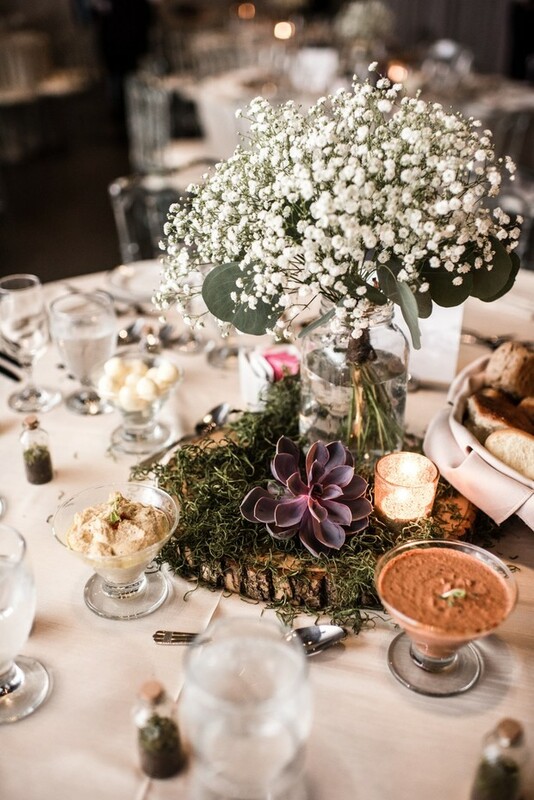 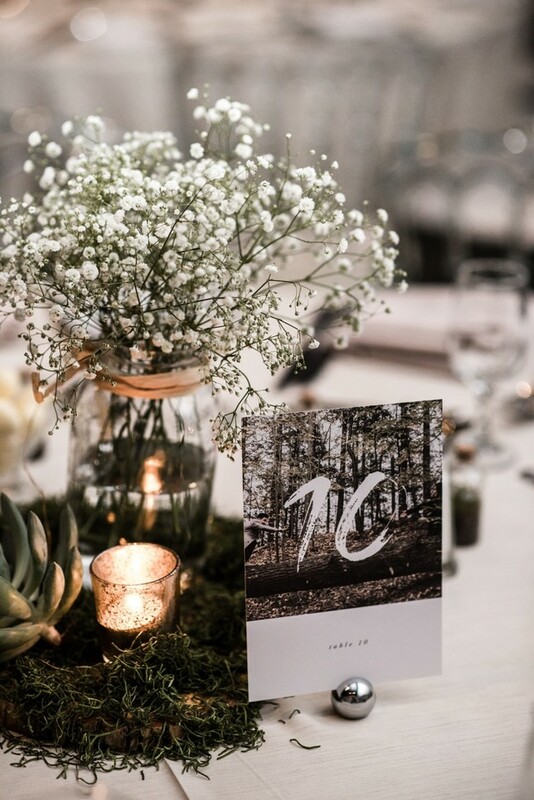 They focused on a minimalist, modern aesthetic with a neutral color palette in grey, ivory, and green. 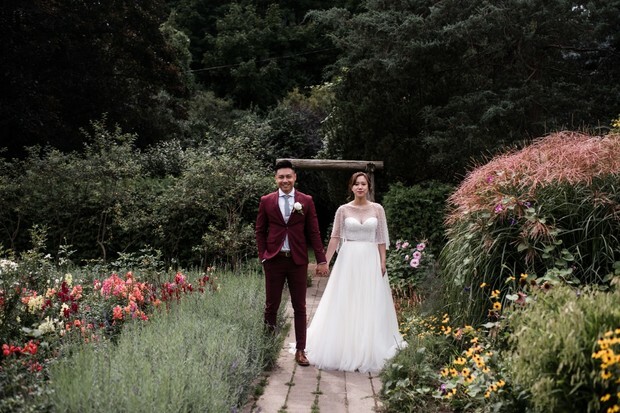 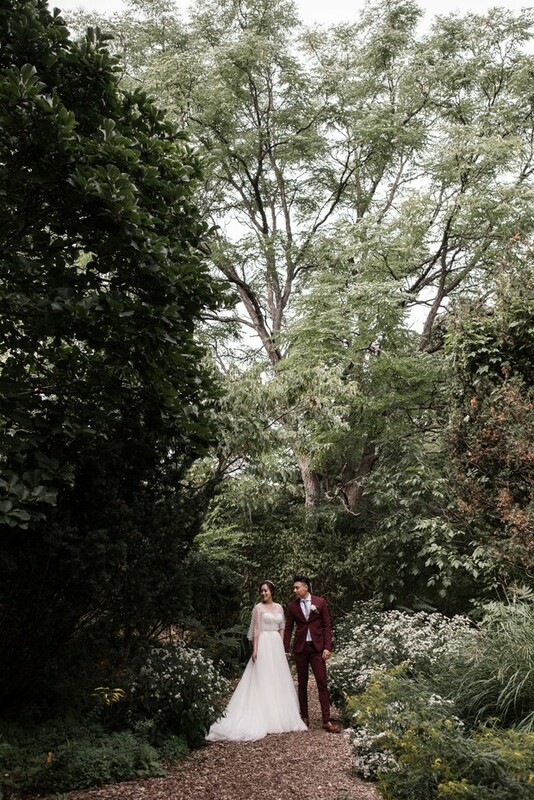 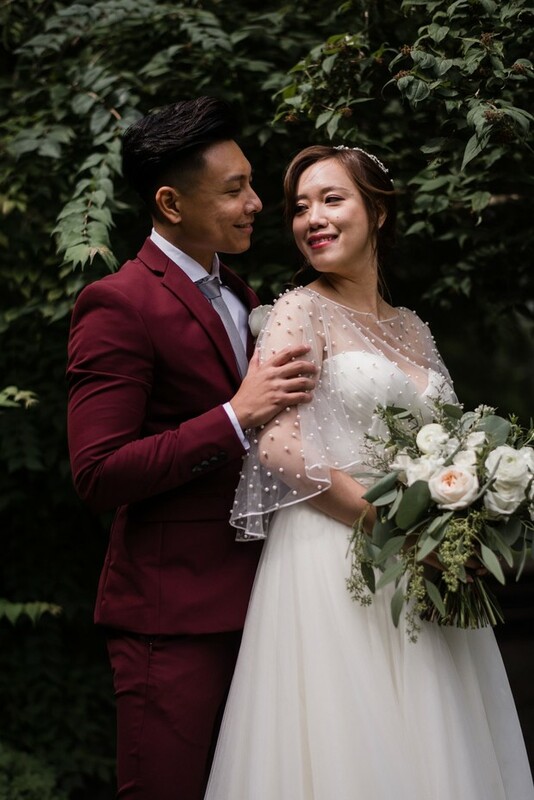 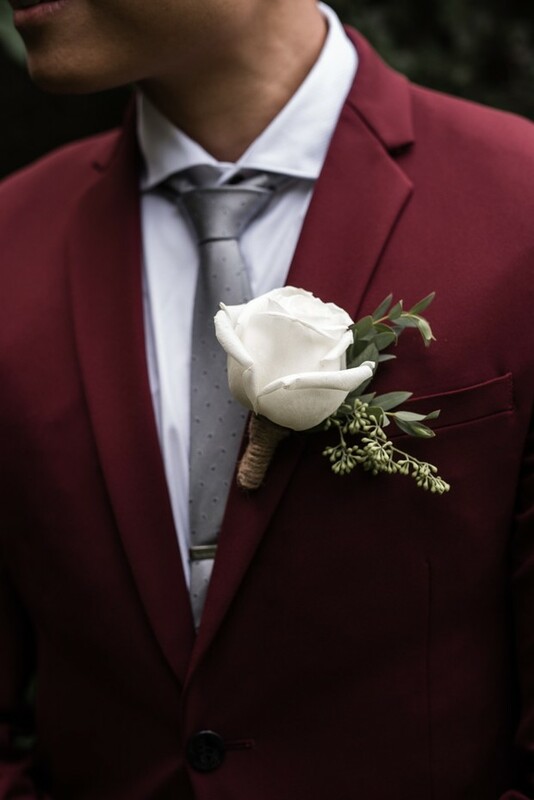 The fun-loving couple looked amazing for their big day and we love both their looks, including the bride's sheer pearl cape and the groom's bold burgundy suit. 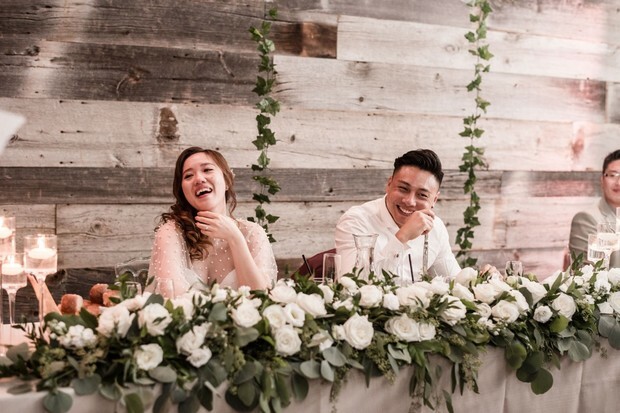 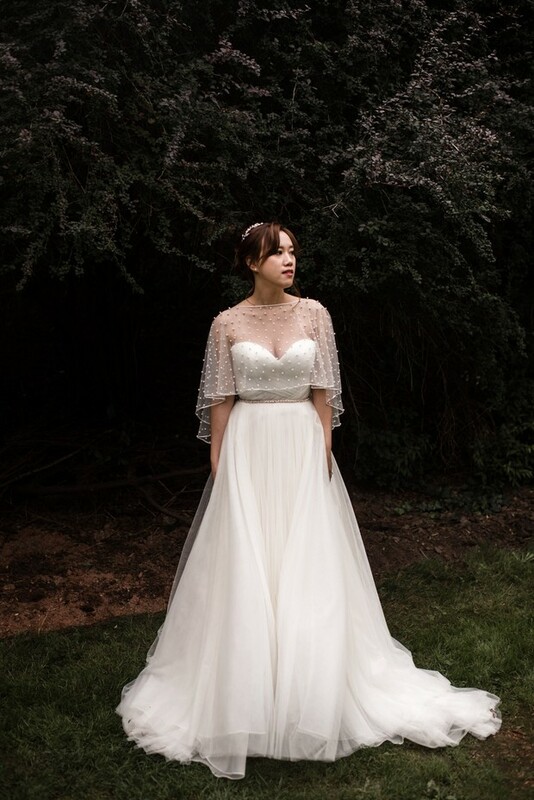 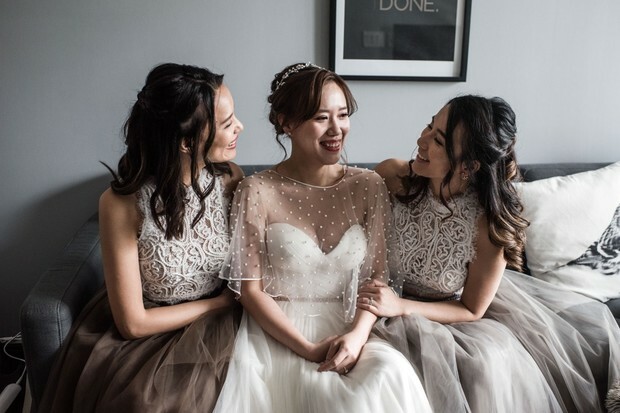 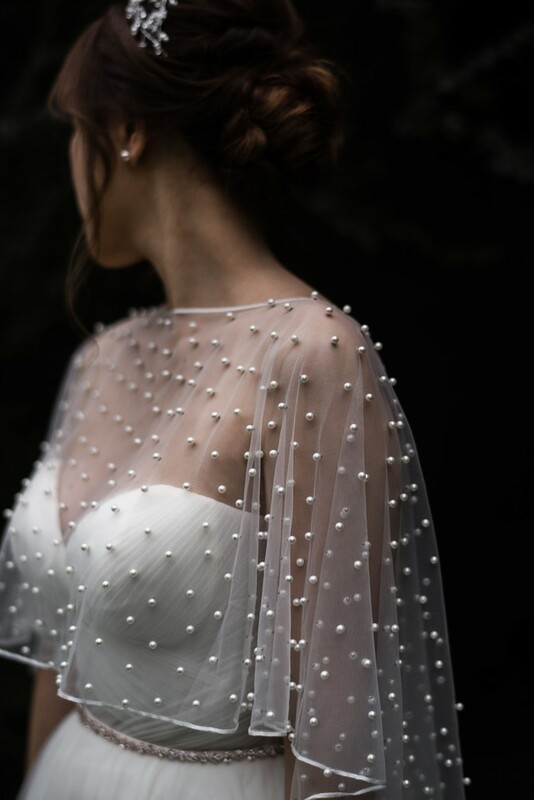 Keep scrolling for all the highlights from Fiona Chiu Photography, and catch a closer look the full gallery. 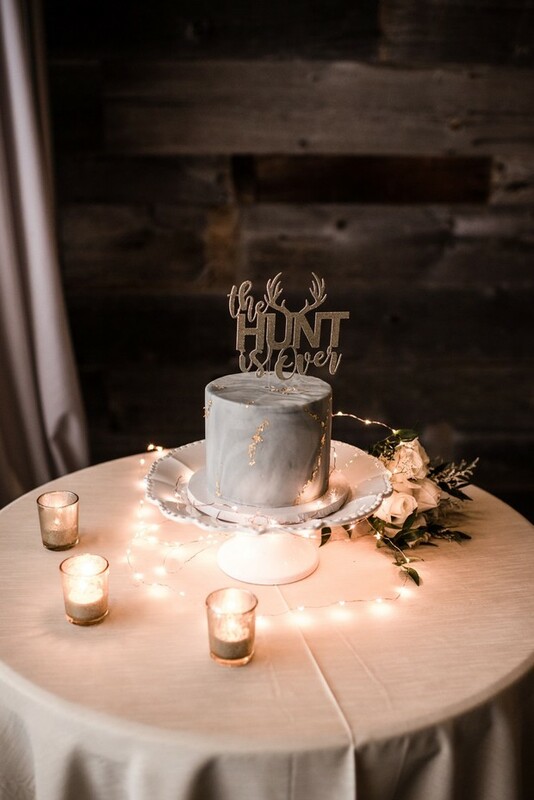 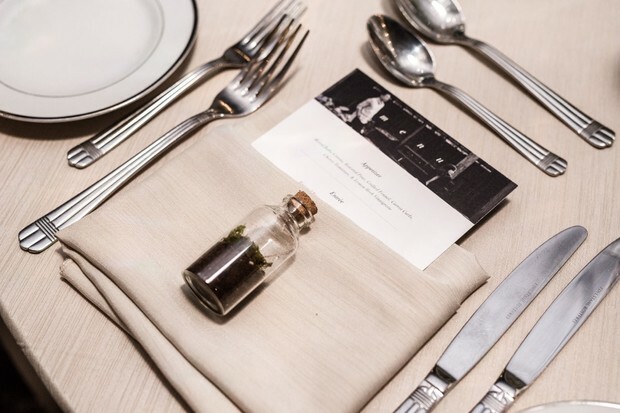 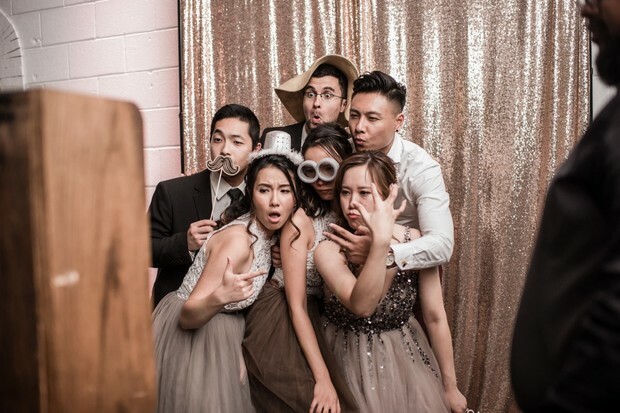 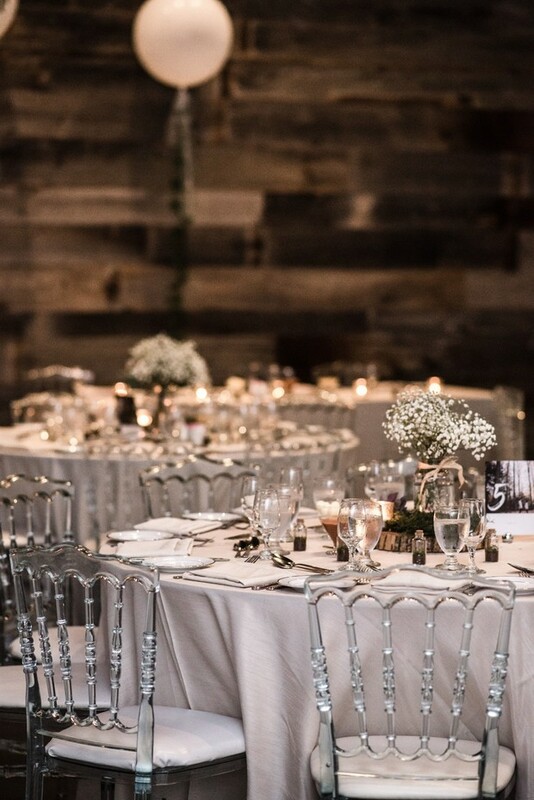 From SS Wedding & Event: A minimalist industrial themed wedding that captured by Fiona Chiu Photography and held at YMG2 (York Mills Gallery). 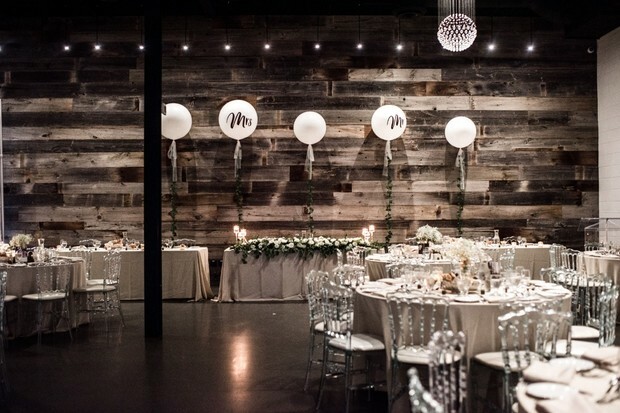 The Bride and Groom were in love the venue at first sight with that reclaimed wood wall as their backdrop for both Ceremony and Reception.